Expectations of Motherhood: I didn’t know what to expect. 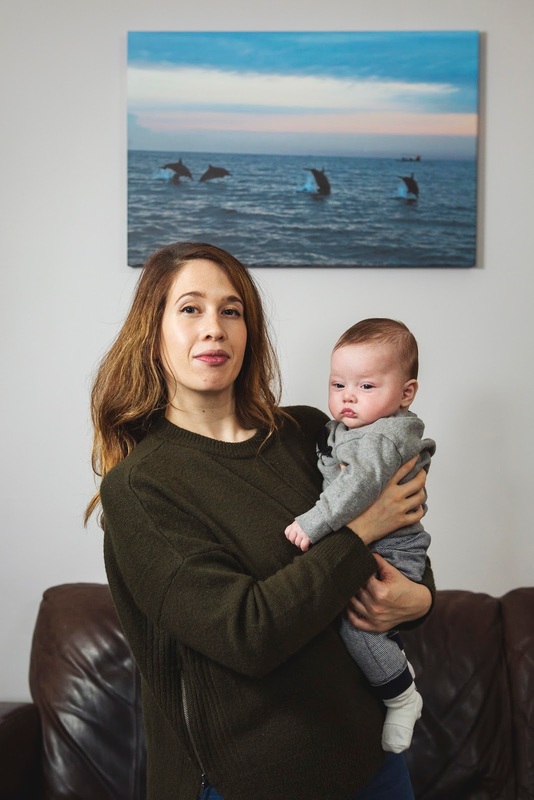 I thought I’d be very tired, that I’d still want my own me-time on a regular basis, I hoped I’d be calm and collected and a ‘perfect’ mother, whatever that means. I had definite do’s and don’ts: go back to the gym a month after he was born, keep up with my former active social life (what was I thinking), get into a routine early on, all became ‘didn’t happen’. The don’ts included – use dummies, co-sleep, breastfeed in public, feed formula. These all happened at some point and there were many more!! Reality of Motherhood: Well, it is very tiring, but so worth it. It can be stressful at times; as this is my first baby almost every rash, cry, weight gain, weight loss and bowel movement has induced anxiety and worry that I don’t know what the hell I’m doing, and I am responsible for this tiny individual. But I love it so much, I never really understood how much love you could feel for someone. Clichéd, I know. I also never thought babies were that interesting, I thought they came into their own when they got a bit bigger. I was so wrong; I’m astounded and bewitched by how much he changes on a daily basis and how he can stop me in my tracks and forget what I’m doing to watch this new sound or action he’s making. Your baby’s smile can only be cringingly described as ‘heart melting’, I’ve asked other new mum’s and they’ve said the same!! Taking your child home for the first time: My waters had broken on the 16th Sept (a month before Jude was due) and then no contractions came. I wasn’t induced until the 18th sept, which meant he was at risk of infection and so I had to stay in. He didn’t have to endure what some early babies and poor families have to go through, but at just under 4 weeks early he was small. But he had to have a canula fitted (for his antibiotics) as his infection markers were too high. He then became jaundiced so he had to have phototherapy for a few days. This was dreadful as he didn’t like being under the light and wanted to be held, so my husband would sit up with him for hours with his arm around Jude or his finger in his mouth (before we managed to buy a dummy) to comfort him. A week later when we got the all clear (after fears that we’d have to stay because his weight had dropped a little too much and his temperature was slightly low). We were ecstatic to take him home. My husband had decided to ask my sisters and aunt round for our first night home with him, so we weren’t completely alone, but none of us really knew what we were doing. We’d forgotten that we were then going to be on our own and look after him! After a few days home, the midwife tested him for jaundice again and his levels were high, so we were back in again for a few days. The second time we left was with more trepidation, I kept worrying we’d have to go back in, especially when I had to take him in for blood tests and a urine test (extremely awkward to do, if you’re asking) for prolonged jaundice. But despite all the (new) worrying, all was well. Best advice: You really can’t plan, so don’t beat yourself up if things don’t happen the way you want. I’d bought so many items of clothing for a bigger baby (everyone I knew told me I was going to have a big baby). When he was under 6lbs and dropped further down, we had to buy more. 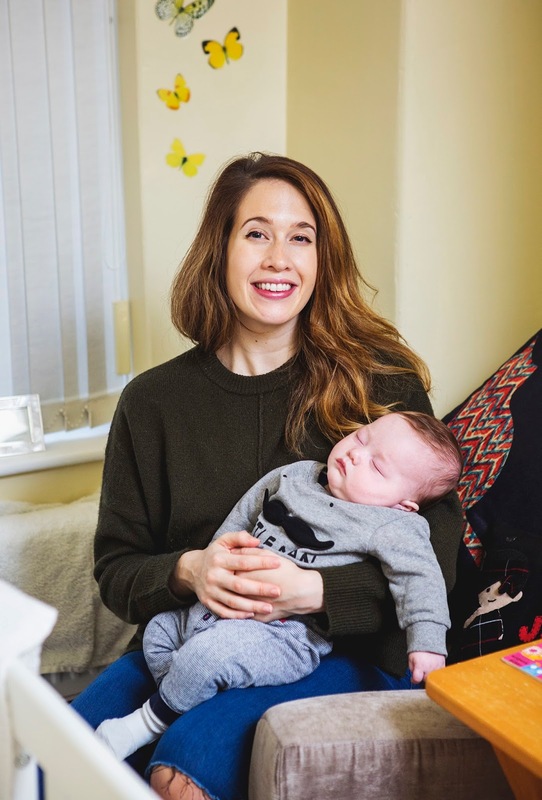 I really had wanted to breast feed, but I wasn’t producing enough milk, so Jude wasn’t gaining weight as he should, I hadn’t considered formula at all and felt like a failure when I couldn’t solely breastfed, because that’s what I’d planned. I’d also planned to have a water birth, but because I was induced on a drip, I couldn’t. Also, bring spare changes of clothes for baby (and you, where possible) wherever you go. I have walked around the Christmas markets with baby sick down my hair and coat for an afternoon last November, Jude remained unsoiled on that occasion, I looked like a scruff! Worst advice: About labour, so many people (both women and men) wanted to tell me about theirs/their partners horrific labour stories and that I should take all the drugs on offer. Telling a first-time, pregnant women this is not helpful. Baby is going to have to come out, so this ‘advice’, particularly from men, who haven’t actually squeezed out a baby themselves, is not helpful. 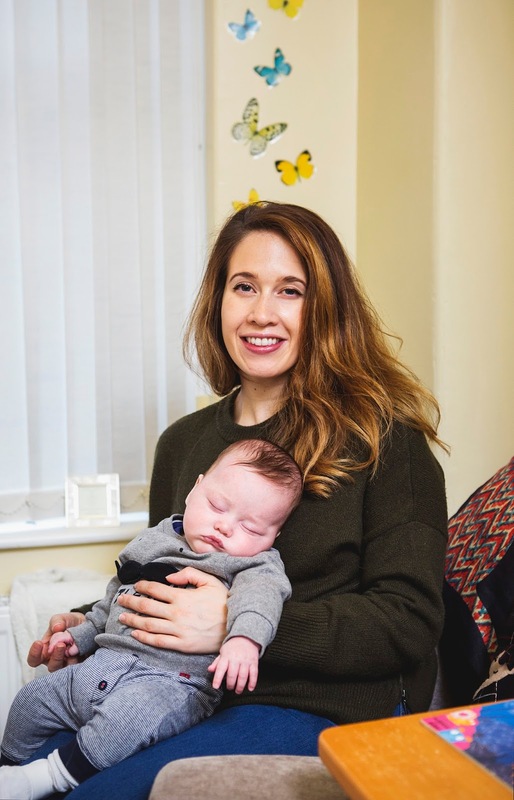 I had a relatively easy labour (once I was finally induced), but everyone is different, every mother in my NCT group had a different experience. Some would do it again, others wouldn’t. You just know that you get your baby at the end, so just keep going! 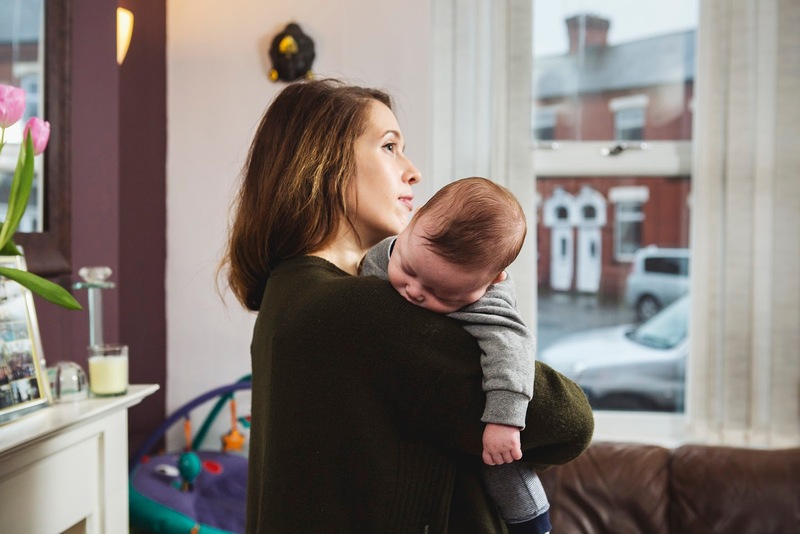 The hardest parts of being a mother: I wasn’t a particularly chilled individual before having Jude, so I don’t think this happens to every mum. But I do worry. Often. Am I doing this right? Is he eating enough? Why doesn’t he like tummy time?! Should he be doing this or that by now? It is the most responsibility you will ever have and you just want to do it right. The best parts of being a mother: I’m well aware that I come across as a walking, talking cliché, but… There seems to be a million little things that make it the best thing, without doubt, that I have ever done. Seeing the pieces of you, mixed with the man you love, is really magical. We still look at him and say to each other “I can’t believe he’s here and he’s ours”. The satisfaction you get out of a smile or a coo and being the one to soothe him when he’s upset, compare to no other feeling I’ve had. When I feel like I’m at the end of my tether because everything is going wrong, I’ve not slept and I have baby sick in my hair, I get a little smile from him and I feel alright. Little victories, like finally getting him out the house to go for a walk in the sunshine make me feel like the most triumphant mother in the world! I’ve always known that I wanted to have children, but until I had him, I never knew how much happiness it would bring to my life. Has becoming a mother changed you? I was a complete social butterfly, I loved going out, making plans for travels and gigs. I definitely enjoyed the odd (bottle) of Prosecco. Everyone told me I’d find it so hard not being able to do all the social things I enjoyed. But I wouldn’t change a thing, in fact I found it hard going out for a haircut and colour (as I was about a 4 hour round trip without him). Now, my plans revolve around Jude, I have a new social focus… baby sensory, baby yoga and have made new friends via NCT and my lovely (post-baby) friends make plans that will include Jude, too. I’m currently trying to figure out how to bring Jude to a Kings of Leon concert in Hyde park in the summer so I don’t have to be without him for a night! I certainly haven’t hankered for any Prosecco since Jude’s arrival either, how times have changed! Hopes for your family: I want Jude to be happy, first and foremost, and a good and respectful human being. I come from a diverse family, Indian and Burmese (and Cornish) grandparents, so I would like to teach Jude about his mixed background and take him to these places one day, to learn about where he comes from. I hope we all grow together, we’re all learning about what it is to be a family and my husband and I don’t always agree on how to do parenting things. We’re still learning to compromise and listen to the other’s opinion on the matter, but generally, it’s making us a closer unit. I hope this continues and Jude grows up with his parents together, in a loving and happy environment. I hope we’re lucky enough to give him more siblings, but right now, I’m just going to keep enjoying (and learning from) what each new day (and sleep-broken) night brings. What advice would you offer to new and expectant mums? Try not to compare yourself to other mums: how your bump looks against others, how your baby can’t lift his head up but your friend’s baby did it a month earlier… There are so many things being said to you about how to be the perfect mum and how to raise the happiest baby, but you should just try to be your own version of perfect and happy. I am still trying to digest this advice myself, but it is slowly sneaking in. 2016 was a tough year for me. At the start of the year my paternal grandfather passed away suddenly, then I was made redundant the day after his funeral. Jude is his 19th great-grandchild. He was always asking us when we were going to have a baby as he loved his ever-growing family so much. The week after his funeral I found out I was pregnant after almost 2 years of trying (and on my husband’s birthday). My maternal grandmother was then diagnosed with pancreatic cancer and died 3 months to-the-day before her first great grandson was born. She managed to knit a lovely outfit for him before she passed away, which was what we took him home in. We had joked that it was far too small for a baby of my husband’s and in the end it was just perfect for our little man. The one thing that kept me positive and strong this year was knowing that I would have my little boy with us by October. I don’t know why my beloved Nana and Grandpa weren’t able to be around to meet Jude, but it was just meant to be.